Creator Ci40 is a new development kit that includes all the hardware, software, and cloud infrastructure needed to quickly build a wireless Internet of Things system. The kit includes a powerful microcomputer that has been specifically designed for smart home, IoT and other connected devices such as drones, robots or smart thermostats. In addition, the development board also has the hardware needed to be used as a high-speed wireless router, including 802.11ac 2x2 Wi-Fi, an Ethernet port, SD and USB storage. The Creator Ci40 board runs not only a number of GNU/Linux distributions but also Brillo, the new operating system from Google. In fact, Creator is one of the few platforms selected by Google as a starter platform for Brillo developers. Starter boards are the gold standard for getting started with Brillo development. Many existing IoT dev boards reuse existing mobile chips but this leads to increased power consumption and short battery life. We’ve already seen several wearable devices affected by this issue. Instead, Creator Ci40 includes an innovative, custom-built chip called cXT200 that has been designed from the start specifically for IoT applications. cXT200 delivers high efficiency thanks to its hardware multithreading capabilities but also includes a balanced feature set aimed at low power consumption and is manufactured using a low power process node from GlobalFoundries. In addition, development boards today might feature only 802.11n Wi-Fi and Bluetooth while some don’t have any form of connectivity at all. This means developers have to buy additional dongles which take up space and increase energy consumption power. Creator Ci40 includes a full wireless connectivity package that covers 802.11ac 2x2 Wi-Fi, Bluetooth Classic and Low Energy but also 802.15.4. Finally, a lot of boards don’t come pre-packaged with a software stack or a cloud infrastructure. Creator Ci40 offers both for free: an open source device management stack built on open standards such as 6LoWPAN, LWM2M or CoAP as well as a cloud infrastructure represented by our FlowCloud IoT framework. I’m part of a group of passionate engineers working for Imagination Technologies. I initially started my career in CPU design and then slowly progressed into a more marketing-focused role. 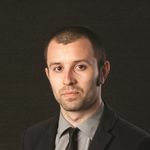 I am now a senior marketing specialist at Imagination where I handle our relationship with technical press and analysts, participate in frequent events, oversee our social media strategy and write blog articles, among other things. We came up with the concept of Creator Ci40 when we analysed the IoT market and saw there was a need for a complete development kit that helps developers get started with connected products. Previously, such a kit did not exist: you either had standalone microcomputers or small development boards that would connect directly to the cloud via Wi-Fi. Both concepts might work for small hobbyist projects but if you want to scale to hundreds of devices, you really need a kit that can go far beyond that – and do it well. Imagination is a large and well-established company, why use Kickstarter? We are using Kickstarter because it’s a great platform for putting innovative products directly into the hands of consumers. The Creator family is a new venture for Imagination and therefore we want to use Kickstarter to hear what makers, developers and entrepreneurs have to say about our IoT kit directly. A successful outcome of our crowdfunded campaign means we will deliver the IoT kit and associated software much faster compared to a traditional sales channel route. In the 1990s, a lot of American late night shows started incorporating "man on the street"-type interviews in their formats with the aim of getting a variety of answers and opinions on any given subject. 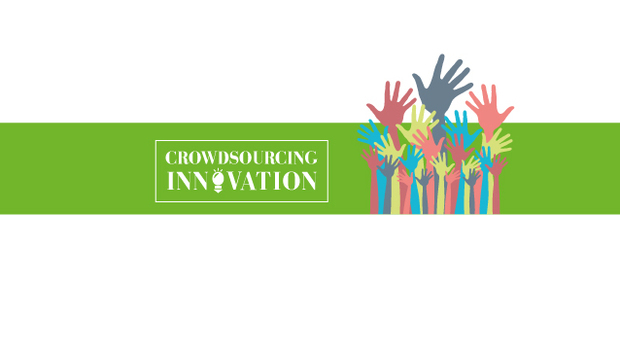 Many thought it was a gimmick but I believe crowdfunding platforms can be used in a similar manner since they imply a high degree of audience participation that you cannot get anywhere else. Some of the best ideas and most innovative products today were launched using crowdfunding, including the Pebble smartwatch and the Oculus VR headset. The reaction on Kickstarter has been very positive. One backer for example told me that he thought Creator Ci40 was the best IoT maker kit he'd seen to date. He also said he felt it had been well thought through and included the right mix of hardware, software and cloud services integration. You can imagine I was really happy to hear such positive feedback, and this is a perfect example of the honest feedback mechanism that Kickstarter offers. There is a lot of effort involved with a Kickstarter project. We had to do a lot of things that took us out of our comfort zone; that includes a very exhausting shoot for the promotional video. If there is any advice I could give to anyone looking to launch a product via the crowdfunding route, it would be to invest in the video as much as you can. We’ve learned that a good video is very likely to attract more backers than the written content. Also make sure you have a plan for social media promotion and target communities that are relevant to your project. The first kits will be delivered in the March – April 2016 timeframe. Who are you aiming the Creator Ci40 at, and how do you plan to compete with likes of Raspberry Pi, Beagleboard etc? We don’t see the products you’ve listed as our direct competition. At the end of the day, a lot of companies make boards – some of them are MIPS-based, and I think that’s great! For example, the latest Arduino Yun is powered by a MIPS processor and it’s an amazing piece of hardware. 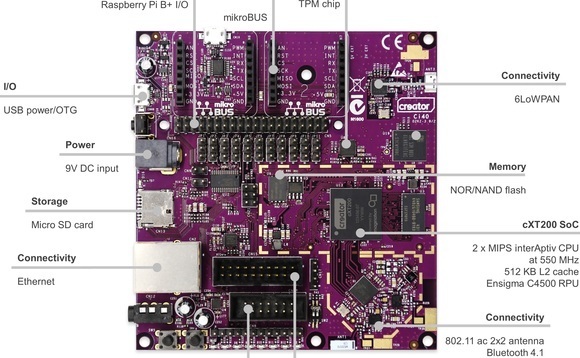 The Creator Ci40 kit however is more than just a board: it is a complete solution that validates our view of the future of IoT: you have MIPS-based sensors (in this case the expansion boards using a MIPS-based PIC32 microcontroller from Microchip Technology) talking to a hub (the MIPS-based high-performance Ci40 microcomputer) which in turn is communicating with the cloud (FlowCloud). So it’s an end-to-end, MIPS-based IoT architecture built on open software – you can see how this is an important proof point for how our technologies can scale in the future. Imagination has been around for a long time – what sort of role does the company see for itself in the Internet of Things? From a hardware perspective, the IoT market is defined by low-power and highly integrated computing platforms that feature hardware-based security. 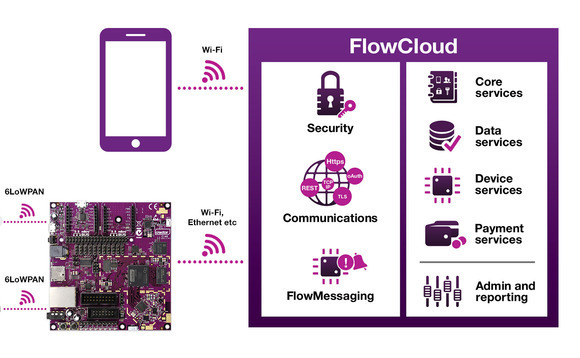 When looking at building a low-power computing platform for IoT, connectivity is a major focus. The most innovative new products being released now and in the next few years are now all connected, and recognizing this we have developed a low power, connected processor IP platform based on our MIPS processor and Ensigma connectivity technologies to enable an era of ubiquitous internet connectivity. The world is getting so connected that soon creating any chip incorporating a processor without connectivity will seem as alien as designing a chip today without memory or peripherals. When it comes to securing an IoT platform, we think a multi-domain separation based architecture is needed. Imagination’s OmniShield is a set of technologies that enable the creation of multiple isolated and trusted domains inside the chip. By adopting a solution like OmniShield, chip makers and OEMs can implement security from the hardware level all the way up to the cloud. For example, our connected processor platform comes with a tiny MIPS M-class processor that supports this technology through hardware virtualization and can support up to seven isolated containers. MIPS M-class CPUs are the only microcontroller-class processors available on the market that support hardware virtualization and multiple trusted execution environments. Devices using MIPS M-class CPUs and OmniShield are able to create secure channels for remote device management and service deployment while also running an operating system like Linux required for a graphics UI. If you’re looking for practical examples of where our technologies can be found in the IoT space today, we have seen a lot of traction recently for our MIPS CPU IP. Our biggest customer in this market is Microchip Technology, a company that built its entire line of 32-bit PIC32 microcontrollers on the MIPS architecture. They’ve seen a substantial growth in 32-bit microcontroller shipments in the last year. The latest PIC32MZ EF family for example uses a MIPS M-class CPU clocked at 200MHz and offering 330 DMIPS of performance. Other companies using MIPS in IoT include Samsung who is going into mass production with the MIPS-based ARTIK 1 IoT platform; Standing Egg, a new company creating sensor hubs; Ineda who is creating wearable processing units (WPUs); Ingenic who has multiple generations of MIPS-based chips for wearable and smart devices; Altair Semiconductor who has LTE Cat 0 chips for IoT; Sequans Communications who is making LTE platforms for IoT, and the list goes on. These companies and others are using MIPS because of our performance, area and power benefits for these applications, as well as for the unique differentiators that MIPS offers, including hardware virtualization in our M-class cores, which enhances security and reliability. There’s been a lot of consolidation in the chip manufacturer industry of late – what’s behind this trend and is Imagination looking at potential targets? It is an interesting situation, but this consolidation has been taking place at every stage in the manufacturing chain; we’re talking not only about chip makers, but everyone from IP suppliers and EDA companies to OEMs and operators. As the mobile market matures over the next two years, you will see a few monolithic semiconductor companies emerging – a similar situation to what we have right now in the desktop world. These will high-volume companies that target every segment of the market from $50 entry-level mobile devices to $800 flagships. However, there will still be several markets where you have smaller semiconductor vendors competing with the more established players; these companies will specialize in clear-cut applications that require a high level of domain expertise. One such example is the ADAS market where we are seeing several companies building dedicated computing platforms optimized to perform one task: computer vision and AI for autonomous cars. Another interesting case is the wearables market. I recently met a CEO in China who said that most smart wearables today are using not-so-smart processors; he was referring to the reuse of mobile chips for smartwatches. His company is designing a processor optimized for wearable use cases which can be quite different to smartphone applications – I thought that made a lot of sense. Finally, multiple OEMs are starting to realize the importance of having in-house semiconductor design capabilities. This is a way for them to differentiate against the competition, to optimize the hardware to match specific requirements and user experiences or to introduce certain features that are not available in off-the-shelf IP products. Between the three categories listed above, Imagination is well positioned to achieve growth and success in the future, particularly as we approach an era where computing is becoming ubiquitous. Creator Ci40 can be seen as an innovation platform for small to medium enterprises looking to quickly prototype a product and then go directly into production. We’ve always stated that Creator is a family of boards that would scale from tiny modules to high-performance computing platforms. I am happy to see that we are building a dedicated community around our Creator programme – a lot of developers are excited about the possibility of accessing the latest MIPS, PowerVR and Ensigma technologies directly from Imagination. We are also working hard to finalize the user documentation for the Ci40 kit at which point we will be able to release the full schematics, reference manuals and application notes for the board.